Home RunningPhysio Community Read all about it! If you're a fan cycling the roads as well as running on them check out our articles in Cycling Weekly. David Bradford (@DeeBeeFree) and I have worked in tandem to explore some of the popular issues in cycling at present. We've put strength training, self-diagnosis and kinesio tape under the micro-scope and asked, “should you stretch?” (not freely available online, see July 10 issue). The site's been at its busiest ever with over 250,000 page views in the last 30 days. Michael Rathleff's great guest article was responsible for a whopping 66,000 of those views and has now been featured on the BJSM Blog. 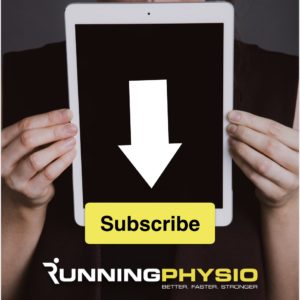 It's a real priviledge to be connected with the BJSM and Michael's blog becomes the third article from RunningPhysio that they've featured. One of the most exciting developments this month lead to one of the toughest decisions I've had to make. I've been in discussion with a publisher for some time about writing a book about running injury and earlier this month they made me an offer to commission the book. It's been a life-long dream to write a book so my immediate reaction was of eager delight! You might wonder then why I turned it down!? As discussion with the publishers continued I began to realise that the volume of work needed (60,000 words) and the need to produce unique content in it meant I had a choice – either write for the site or the book. I also realised I'd need to give up some clinical time to do it and I just couldn't see a way to fit everything in. As I thought things over the truth dawned on me that 10, maybe 15 years ago, a book on running injuries would have been ideal. Now though, in a very much internet age, people don't reach for the bookshelf when struggling with an injury, they consult Dr Google! In many ways, this site is my book, it might not be leather-bound and nestled on a shelf but I've loved seeing it grown and I wouldn't sacrifice it for anything! So, rather than a book, I'll be writing a series of downloadable guides for the site, starting with a guide to injury prevention. It'll be available very soon and contains key advice to keep you injury free and improve your performance, plus some great exercises and the latest science behind stretching. Subscribe to our email list for updates on these guides and all our other articles. And finally…we still have a couple places left for our Running Repairs Course in Huddersfield this November. Contact Gareth Liversidge for more information.